Rest, relaxation and free resources: a SENCO’s half term itinerary. Gareth D Morewood highlights some useful material for next term. 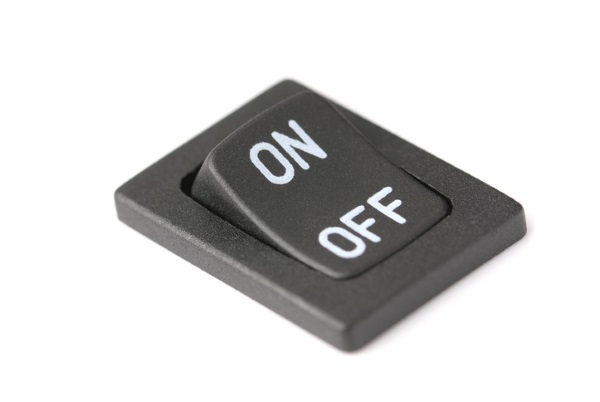 This week (or next, depending on where you are) is the time for SENCOs to switch off, to recover from the intense first half of the Autumn term. For some of us this can prove hard to do; forcing ourselves to take time away from work can become an occupation in itself. However, I am also conscious that having important information or links to useful reading can be a life saver for the busy SENCO. So as your week of rest and relaxation either approaches or draws to a close, take stock of these five important resources for the rest of term. The ability to focus during lesson time is something we might expect of every pupil, but for those with SEN it can be more difficult than for others. Claire’s latest blog post is a convincing reassertion of something we all should know: a good strategy for SEND is a good strategy for everyone. Understanding sensory needs and using visual supports are the focal points here, and I’d be confident in recommending the post for any ITT course or CPD session. Is a picture truly worth a thousand words? Sensory processing: top ten tips! Following on nicely from Claire’s post, this set of posters designed by Oliver Caviglioli offer useful, accessible summaries of complex ideas. They are free to download, and invaluable to anyone involved in teaching and learning (or simply anyone interested in how learning takes place). If planning for inclusive, high quality teaching, be sure you have these resources to hand. Elly Chapple is truly an inspirational person, relentlessly pursuing a positive approach of disability through #flipthenarrative. Her experience as the parent of Ella is something we all need to read more about. It’s important not to lose sight of this as short-term objectives or narrow definitions of success take hold. So take a few minutes to read Elly and Ella’s story, and ask yourself how you approach the inclusion of all young people in your setting. Have you really considered what ‘can be’? Many colleagues will remember the opportunity we had to submit evidence to the Commons Education Select Committee’s inquiry into special educational needs and disabilities, although there has been a significant pause in proceedings recently, which has been a real frustration, it is good to see the process going again. This week, the industrious Matt Kerr was asked to give oral evidence to the Select Committee after he – like many of us – provided a written submission. Matt’s adroitness in condensing complex information and data into digestible chunks is a gift to the busy SENCO, who should pay attention to what’s going on and being discussed outside their own settings. Here are the key points I took from his session. Many families have decided giving up work to home educate their children was better and less stressful than trying to navigate the systems established a part of the reports in 2014. Inadequate funding continues to be a driver for inequality and unlawful actions by some local authorities. Access to appropriate specialist services continues to be a massive challenge, particularly educational psychologists. In spite of all this, Matt’s overall impression of the session is positive: he has hope. This is enough for me to feel encouraged, and justified in focusing all my energy on improving outcomes not only for the pupils and families I work with, but those across the country. As SENCOs it’s crucial that we pay heed to the broader issues that constitute our ongoing ‘SEND crisis’, while not losing sight of the individuals who are being affected most by it. Morewood, G. D., Drews, D. & King, R. (2016) Developing school-led SEND provision: a developing model of school-to-school support. Assessment and Development Matters, published by the BPS Psychological Testing Centre, Vol. 8, No 2, Summer 2016, p7-10. This three-stage improvement plan was designed to help colleagues do just that – for free! Of course, school improvement is far more complicated than ‘three easy steps’. But the more I work with different schools in the UK and elsewhere, the more acutely aware I am of how important it is to have a clear starting point on the long road to change. I know that school improvement is more complex than a simple ‘three-stage plan’ however, over the last few years working with a number of different schools and settings in the UK and abroad, I am acutely aware of the need for a starting point that can start that change process over time. Whatever you half term holds, or however it passed, hopefully this round-up will give you an opportunity – often sought, rarely found – in the busy term ahead to reflect on your SEND priorities. Take time for yourself, dip into these resources along with whatever else you may find and be sure to share anything valuable with your colleagues. There’s so much useful material out there, so why not?